A well-designed landscape is not just an extension of your house; it reflects the architecture & the lifestyle of the homeowners. At JC’s Landscaping, we aim to provide custom landscaping solutions to our clients in Plano, TX. Professionalism, passion for landscaping, and experience distinguish us from our competitors. From custom landscape design services to installation of lighting, landscape, concrete patios, natural stones, and water features, we can do it all for you. Our team also masters the art of creating outdoor kitchens and fireplaces in homes in Plano. Why Us for Plano Landscaping? 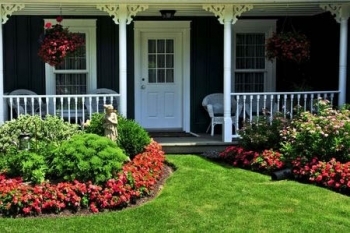 We are a professional landscaping company that believes in providing customized solutions to clients. No two landscapes we have created are same. We take care of color, texture, climate, and the requirements of the client in mind while creating a landscape. JC’s Landscaping creates unique and beautiful landscapes using the best landscape practices and adhering to industry standards. No matter what your project, our objective is always the same: focus on quality. It is our commitment to deliver excellent service at a great price that makes us a reputable landscaping company in Plano, Texas. If you are looking for some great landscaping solutions, get in touch with us.